Last week I claimed that writers should blog as part of their social media activities and was planning to move on to talking about recent changes in blogging, whether writers should make use of them and how they could do so. However I’ve had a few emails asking if blogging is still a useful tool for writers or whether they’ve missed the boat. I believe that a blog is immensely valuable to writers and so this week I’m going to talk in more detail about why writers should blog and next time I’m going to look at why they definitely shouldn’t. • Writers need an on-line presence, however a simple a website that might be. Some authors have sites built and maintained by their publishers but it’s best to build it/have it built for you because then you control it. If you’re ditched by your publisher for whatever reason, the last thing you want is for your site to disappear and for you to not even own the domain. • Adding a blog page to your website is easy and updating it with a simple entry each week or fortnight is not especially onerous. You’re a writer, it’s what you do – 300-500 words per fortnight for your blog is not a big deal. Later in this series I’ll look more at subjects you can write about. And it’s an easy way to make sure your site is updated regularly which helps Google’s elves make sure that they keep their indexing fresh and up-to-date. • Regular updates are good for SEO (Search Engine Optimisation). Again we’ll talk about this in more detail another time, but suffice it to say that good SEO means your site appears towards the top of relevant. NB. There are masses of dubious companies promising all sorts of magic for a far from nominal fee. Don’t go near them, you can do everything you need for yourself. • When publishers and agents Google you (and they will) they will see that you have at least some commercial awareness. You can’t rely on publicists alone to promote your book; you will need to make a certain amount of effort yourself. If a debut author hasn’t been active in promoting their novel on and off-line and it tanks, then their shiny three book deal might wane into a two book deal or even a one book deal because the publishers simply don’t want to lose any more money. And future publishers may be less than enthusiastic about a new author who already appears to be a commercial disaster. • Blogging enables you to build a community of readers even before your book is published. Readers are fascinated by background, research, how you write and so on and blogging about those things, about books you’ve enjoyed, relevant places you’ve visited will intrigue them when your book is finally released. • You can interact with the wider literary community by linking to interesting posts on other writers’ sites or even asking them to write guest posts for you when you’ve got to ‘know’ each other a bit. 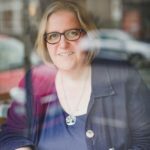 For example, I have a background in bookselling and have chaired masses of events with authors and so I interview a lot of authors on this blog. My history gives me credibility and I try to ask interesting questions and so far, the response from potential interviewees has been unanimously positive. • It’s good writing practice. You might be a fiction writer with an interesting day job and using that for blog material might be the starting point you need. 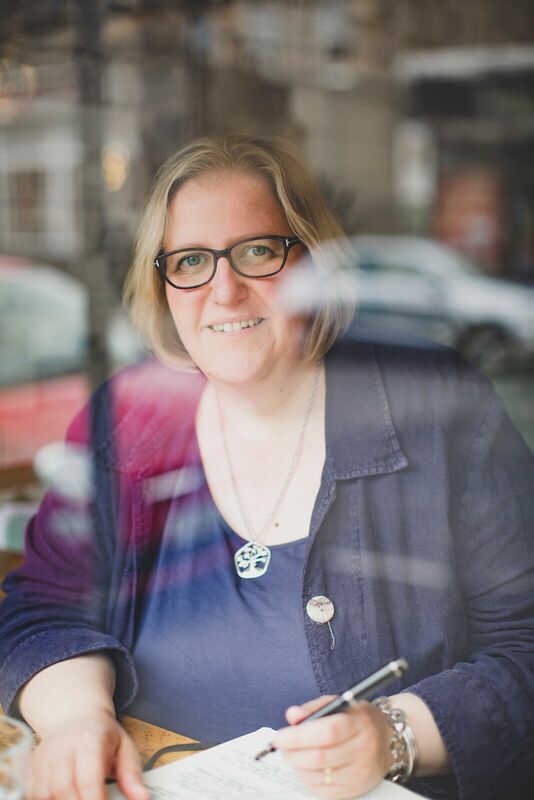 Look at Joanna Cannon’s blog and her interview here to see what I mean. But writing about something other than your current work-in-progress is sometimes good for the more creative side of things. Take this series of posts on blogging for example – it’s helping me to get to grips with aspects of The Novel that haven’t been working as well as they could by making me write about something completely unrelated. • It gives you a platform to talk about your writing and to promote your book, albeit gently. With social media such as Twitter the consensus is eight non-sales posts to two that are overt promotion and to be honest I think even that’s a bit much unless publication is imminent or very recent. But, in the run-up to publication you can set up a mailing list, offer first chapter downloads etc. and convert some (hopefully all) of your blog readers into book readers. Like I said though, go gently as people can easily be put off by sales talk. • If you are self-publishing then marketing is all your own work so you must blog. Period. 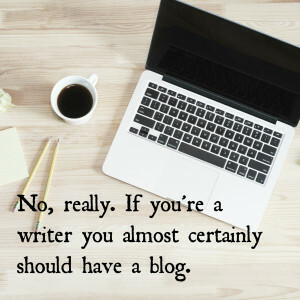 I hope that helps – if you can think of any more reasons that authors should blog then do share that in the comments. Next time we’ll be talking about all the reasons why authors definitely shouldn’t blog. TTFN. This entry was posted in Blogging and tagged blogging, blogging for writers, social media, writing. Bookmark the permalink. I’m not a writer of books, but I do read author blogs. Just yesterday I discovered a link on Twitter to a blog post written by an author whose books I have read. It was a post on gardening. I felt immediate identification with her in an interest I had not known that we shared. I think we relate more to authors we can identify with, and a blog allows authors to show a more personal side.